As he steps out for his morning run, Yashish Dahiya has a lot to think about. The charismatic, straight-talking 44-year-old, who co-founded the ground-breaking insurtech company Policybazaar a decade ago, will, as always, be looking into the future and mentally drafting his next set of long-term goals. Outspokenly unworried about the competition (“They need to worry about taking us on, not vice versa”), Dahiya set out to achieve what many industry experts wrote off as a pipe dream in 2008 – in a country where insurance distribution is principally dominated by individual agents and the sales teams of traditional plans, Dahiya envisioned a transparent, fully online insurance advisory portal selling mainly pure-risk plans. 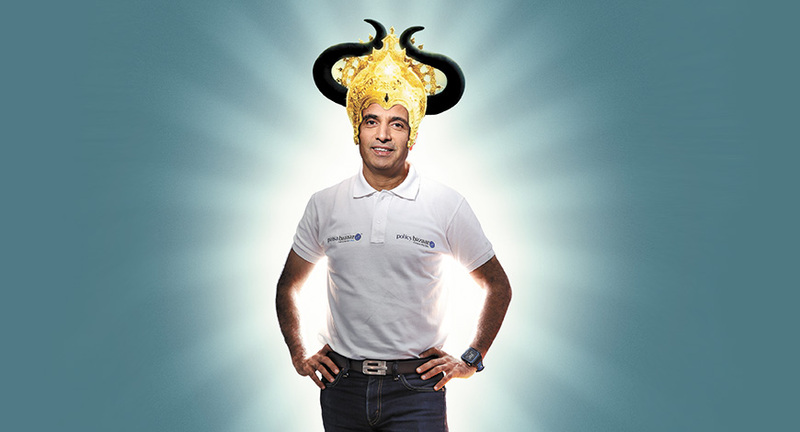 With Policybazaar making its way into the elite club of fintech unicorns this year, Dahiya has fittingly answered the detractors who not too long ago had dismissed his dream as too quixotic to succeed. After all, who would have predicted then that none other than “Seedha Sadha Akshay” would be touting the benefits of term insurance and health insurance on behalf of Policybazaar someday? According to the Indian Brand Equity Federation (IBEF), the Indian insurance industry is expected to grow to $280 billion by FY2020. Overall, insurance penetration in India reached 3.69 per cent in 2017 — and although higher than the 2.71 per cent penetration ratio back in 2001, this small number does go on to reflect the breadth and depth of opportunities that are still available to innovative platforms like Policy-bazaar, which employ non-traditional means of reaching clients remotely. The domestic life insurance industry grew nearly 11 per cent last year, generating revenues of Rs 1.94 lakh crore. In Q1 FY19, premium from new life insurance business increased 10.78 per cent year on year to Rs 37 lakh crore. At the same time, the non-life insurance business has exploded in India over the past half decade, registering a blistering 16.65 per cent annualised growth rate between 2012 and 2018. Gross direct premiums of non-life insurers in India reached Rs 1.51 lakh crore in 2018. A multitude of factors will catalyse the growth of the domestic insurance industry going forward. Increasing life expectancies, higher disposable incomes, and an increasing awareness about the need for pure-risk products will lend a fillip to the life insurance business. Likewise, strong demand growth for cars, coupled with burgeoning lifestyle related diseases, will spur the non-life segment to new heights. It’s no surprise then that a clutch of insurtech companies has started aggressively jostling for a piece of the ‘online distribution’ pie, replete with war chests full of cash and proprietary tech tools aimed at ameliorating the Internet savvy customer’s purchase-to-claim journey. And although these ‘web aggregators’ together account for an insignificant piece of the overall new business at the moment, the future of insurance distribution may well be digital. Fully aware of the intense competition that lies ahead, Dahiya remains stoically confident in his belief that the player that delivers the best customer value will emerge victorious. “We are focused on delivering customer value. We will keep doing that. Let us see if somebody can do it better,” he says. Policybazaar was born in October 2008 amidst the throes of what was arguably the most punishing bear market the modern world may ever witness. As investors began scampering back to the haven of ‘safe’ traditional insurance plans, the founding team at a brave new startup decided to stick their necks out and build a new way to take insurance products to consumers — digitally, and through a stratagem that they dubbed ‘knowledgeable sales’. In fact, one of their earliest marketing campaigns was cheekily titled “ullu mat bano” or “Don’t be fooled”. Interestingly, Dahiya believes that Policybazaar’s inception was a “by-product of information asymmetry”. Picture the context for a moment — the ULIP saga had just begun unravelling amidst the cataclysm of 2008, as policyholders began looking at their account statements with magnifying glasses and gaping holes became apparent. Truckloads of complaints began pouring into the ombudsman and consumer courts, ranging from unfulfilled promises of gargantuan returns to complaints about ULIPs being creatively peddled as three-year “guaranteed return fixed deposits” to unsuspecting senior citizens — all for a quick buck!“The problem of mis-selling existed because the industry allowed distributor friendly products that were bad for customers to be sold in the market. 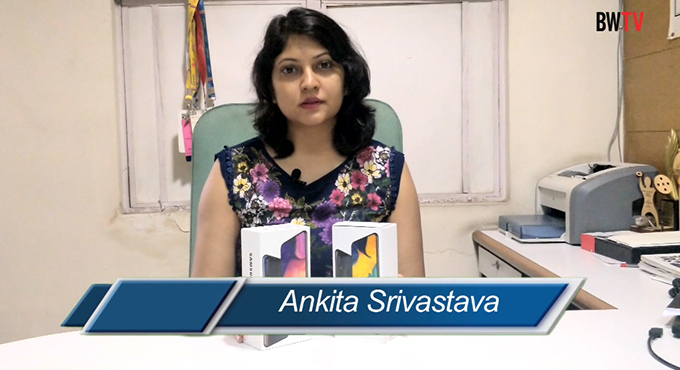 We came in and said, ‘Hey, it’s okay to earn less, but let’s sell only those products that are good for customers’,” recalls Dahiya. The founding team conceived a simple litmus test for calling out a ‘bad’ insurance product — one based on full disclosure. They believed that once the top three or four features of an insurance product were clearly communicated to a customer, she would automatically give a wide berth to a ‘bad’ product while embracing a ‘good’ one. By crushing information asymmetry in this manner and transparently communicating product features to clients Policybazaar took on the bane of mis-selling head on, creating a massive paradigm shift in an industry that traditionally — and rather unfortunately — relies heavily on opacity and confusion to generate sales volumes. “What is mis-selling? Saying something good and hiding other features of the product. All we are doing is disclosing. The moment you disclose, mis-selling stops. A guy on the ground tells the customer — ‘Sir, 10 per cent guaranteed return’. The same person comes to Policybazaar and we say, ‘3.2 per cent return’. Story over. Mis-selling stops,” says Dahiya. It rings true that the beliefs and personal philosophies of the team that co-founds a business invariably percolate into the DNA of the business itself. At least two of Dahiya’s personal philosophies are quite evident in the way that Policybazaar goes about its day-to-day work. “My personal philosophy, ever since I was very young, has been that you cannot truly benefit till you have benefitted somebody else,” says Dahiya. According to him, this philosophy has guided hundreds of strategic decisions at Policybazaar over the past decade. Take, for instance, their product strategy. Most insurance distributors still focus on selling “traditional” plans that are large ticket size, highly remunerative; and extremely value-destroying to the end customer — their returns usually fail to outpace inflation, their associated death benefits are typically inconsequential, and their liquidity and flexibility abysmal. Counterintuitively, their degree of acceptability within the mostly risk-averse community of Indian savers is noteworthy. In such an environment, Policybazaar chose to swim against the tide and instead, embrace warranty protection products that safeguard investors against the three scourges of death, disability and disease. In a sense, this is a constant fight against the odds; these low-ticket size products, such as term insurance and medical insurance face stiff resistance from hapless Indian savers, who stubbornly continue to perceive insurance as a savings instrument rather than a risk-transfer mechanism. These products are also extremely transparent and value creating for customers, because they solve one genuine problem fully, rather than making a half-baked attempt at solving two. Dahiya’s second life-philosophy that finds expression within Policybazaar is his tendency to think, in his own words, “very long term”. “No short cuts, no quick wins, just being very focused on long-term goals… Only doing things which you think can have a lasting impact. Not doing random stuff” is how Dahiya describes it, simultaneously stressing on the importance of ‘staying alive by remaining contribution positive’ — that is, not losing money on any sale after factoring in the marketing, selling, and customer support costs that were borne while making it. 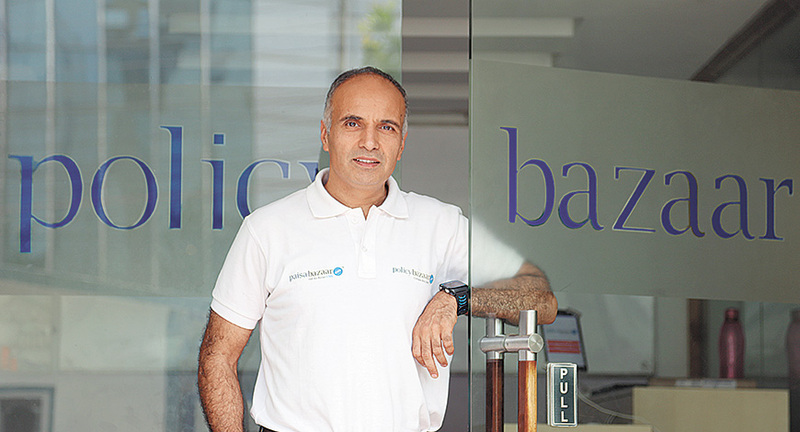 In a sense, his three-pronged approach combining customer value creation through ethical and conflict-free sales, an unwavering focus on positive unit economics, and a Kaizen-like philosophy of making continuous improvements through long-term investments has lifted Policybazaar from a ‘relative unknown’ to a ‘household name’ in a short span of ten years. Long-term investments mostly find their way into technology upgrades. With a 150-strong IT team, the company’s innovation & incubation lab (known as PBee Lab) absorbs a large portion of the company’s free cash each year. But Dahiya is unfazed, pointing out that although the company has consumed $35 million (approximately Rs 240 crore) in cash to date, it’s billion-dollar valuation makes for a 30X return on investment. Bansal goes on to share the two metrics that he, as CFO, monitors obsessively. “Growth, and quality of business,” he says. By quality of business, Bansal alludes to the “persistency” of the policies they sell, or the percentage of policies sold that actually go on to get renewed year upon year. A simple metric that is uncannily reflective of any distributor’s “quality of sales”, persistency has traditionally been dismally low in India. As per IRDAI’s latest available estimates, only 29 per cent of policies go on to actually get renewed in their fifth year — a frightfully high fallout rate when you consider that most insurance contracts are intended to be long term in nature. In other words, while industry new business premiums are on the rise, renewal premiums aren’t quite keeping up — resulting in a value-eroding leaky-bucket syndrome that comes back to hurt the customer in due course. Prima facie, it would appear that Policybazaar has successfully bucked this trend with an 87 per cent year-on-year renewability — it’s quite likely that this outcome is a derivative of the transparency employed within their sales practices, coupled with the fact that they focus almost completely on pure-risk products that are easy to understand. Long before “fintech” and “insurtech” became buzzwords, Policybazaar already had a high degree of clarity on the actual problems they wanted to solve using technology — namely, “opacity” and “friction”. To this day, the company’s fintech efforts continue to be channelised towards addressing these twin issues; their modus operandi may have changed, but their core guiding philosophies have not. With this in mind, the company went about ensuring that their portal explained products, their features and their associated costs in as transparent a manner as possible. Besides this, the company’s unrelenting focus on the reduction of “friction” through tech-enablement has spawned numerous fintech innovations over the years — starting from simplifying the process of making inter-policy comparisons, to the creation of artificial intelligence (AI) led chatbots that have streamlined the customer onboarding experience to the hilt. In 2015, Ashish Gupta was brought in from Healthkart to lead “all things digital” at Policybazaar, and he spearheaded the company’s fintech initiatives. 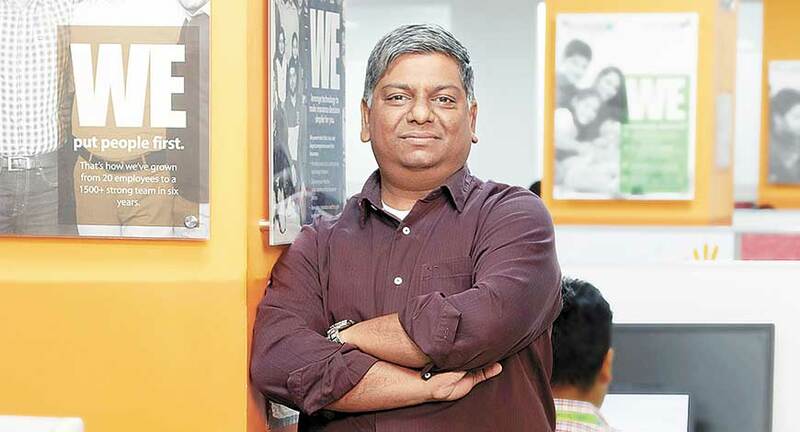 Recently, he also took over as CEO of DocPrime, a Policybazaar subsidiary. As CTO, Gupta has driven plenty of fintech initiatives that had a measurable impact on the company’s bottom-line. Initiatives in the “mobile-first” space resulted in a higher number of conversions from Policybazaar’s visitor pool, translating into a 100 per cent improvement in their top line. A video self-inspection app that eliminated the need for a manual surveyor increased their conversion rates by over 150 per cent. Their chatbot enabled each of their agents to serve as many as three times more customers, resulting in massive savings in direct costs. A conversion-based marketing spend focus helped them improve their digital marketing ROI’s from 70 per cent three years ago to 140 per cent last year. The list is long. Gupta considers automation, self-serve and personalisation to be the three most important aspects of the insurtech wave that’s sure to sweep through the industry over the next few years. 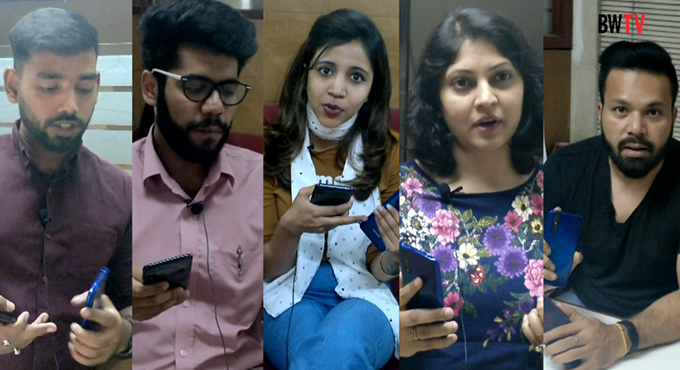 “We will be releasing the world’s first Hinglish chatbot in August. Our other projects include building a voice-to-text engine based on artificial intelligence to automate the quality assurance processes at the call centre. This will extend to voice analytics to help us understand our customers better,” he says. Besides AI, Policy-bazaar is bullish about the potential applications of blockchain technology to insurtech, as information silos continue to shatter within the e-commerce spectrum. Their think tank believes that insurance-related data will soon be shared seamlessly across companies, industries and the government – something that’s not possible today because “whoever stores the data owns that data”. In an otherwise “plug and play” world, Policybazaar is committed to learning from market leaders but arduously building their tech platforms internally, from scratch. Their entire system — from their customer interface to their CRM platform — are custom built, to the extent that they even manage their dialer in-house. This has helped them create a unified apparatus where every piece communicates seamlessly with the other. “To take an example, when a customer visits the site, the journey passes this information to the CRM. The CRM prioritises the call to such a customer and pings the dialer for making the call. The dialer, in turn, detects who the customer spoke to last and initiates the call with the identified agent. Such flows are native to the way Policybazaar works; and as you can imagine, these would be very difficult to execute with multiple plug-and-play systems,” explains Gupta. In sync with their “invest big, and think long term” philosophy, the group recently announced the launch of its third venture (after Policybazaar and Paisabazaar) dubbed DocPrime. Gupta has stepped in to spearhead the greenfield entity. Pitting itself against existing online medical consultation portals such as Practo and DoctorInsta, DocPrime is setting up a backend army of medical professionals who will form the backbone of its service proposition. The newly launched venture is also expected to offer discounted lab-testing services and medicines on their portal, functioning as an “online marketplace” for healthcare products and services. Dahiya anticipates that DocPrime will consume $10 million to $15 million in capital in its first year of operations, but that’s a trifling sum when you consider that the company just raised in excess of $200 million in fresh funds from Japan’s SoftBank, and a group of its existing investors. DocPrime is expected to follow a “freemium” business model, which will not only allow patients to consult with qualified medical professionals free of cost, but also provide them with the option of purchasing a subscription. Interestingly, this subscription will have an OPD insurance bundled into it. 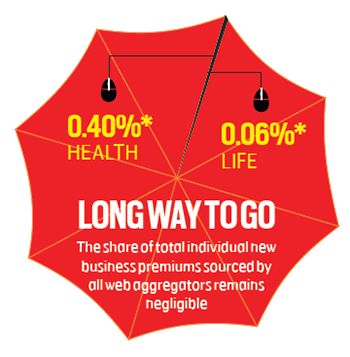 Wary of its perils, few players have ventured into OPD insurance on a large scale thus far. At present, Policybazaar is in talks with a few insurers to co-create a custom OPD product for DocPrime. Dahiya is aware of the risks of launching an OPD insurance product, but he’s confident that by leveraging AI effectively, they’ll be able to build in the scale and efficiency that other players have hitherto failed to. The fledgling venture marks an apparent digression from Policybazaar’s core, which until now has exclusively comprised of the distribution of financial products and services. However, transferable synergies exist. Gupta, for one, has experience in the health-tech space from when he was with HealthKart. He’s no stranger to startups either, having been a serial entrepreneur in the past. Besides, the company’s experience in retailing health insurance products will prove useful. It’ll be interesting to see how DocPrime goes about the challenge of cracking the OPD insurance business code on a large scale, while preserving quality. 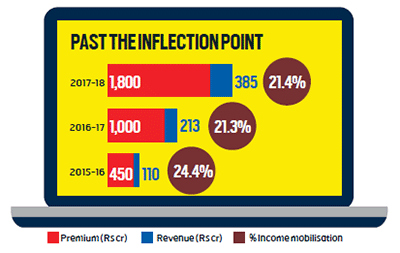 You don’t have to be a financial analyst to infer from Policybazaar’s numbers that they’ve crossed the pivotal ‘inflection point’ that heralds explosive growth for any well-managed annuity business. After all, insurance is essentially a long-term, recurring business commitment, and doing things the right way is bound to have at least one guaranteed outcome — more customers will keep coming back and renewing their existing policies year on year since they won’t be second guessing their decisions. Notice how Policybazaar’s premium mobilisation has leapfrogged from just Rs 450 crore in 2015-16 to Rs 1,800 crore in 2017-18. What’s more, they are expected to breach the Rs 3,000-crore mark this year. Another inference jumps out at us. Despite a large part of Policybazaar’s premium mobilisation resulting from renewals of existing policies, their income, as a percentage of premiums sourced, has remained on an even keel for the past two years. This is the fruit of the company’s assiduous focus on warranty insurance products, which provide more or less similar commission incomes for new business and renewal premiums. This is a far cry from how value-eroding traditional plans remunerate agents; paying hefty upfront commissions and relatively paltry renewal commissions, misaligning customer and agent interests and exacerbating the problem of mis-selling. Their winning streak notwithstanding, Policybazaar can ill afford to rest on its laurels. The war to capture digitally native customers is hotting up. 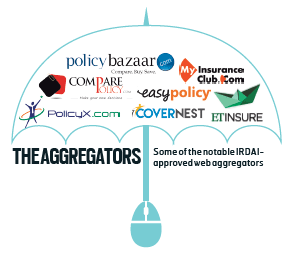 In December 2017, the IRDAI allowed private equity investors to promote unlisted insurance companies, a move that will arm existing players with more growth capital and spawn new competitors for Policybazaar. The acceleration in the tempo is palpable — recent cases in point being digital insurance startup Acko’s $12 million funding round led by none other than Amazon, N.R. Narayana Murthy -backed CoverFox’s $22 million Series C funding from IFC, and Paytm setting up both life and general insurance units in February. Recall how Paytm brought ticketing major Bookmyshow’s scorching 100 per cent annual growth trajectory to a screeching halt last year, snaring away a consequential 52 million ticket market share. Earlier this month, half a million users signed up to buy mutual funds on their new platform — Paytm Money. As the industry storms into a hypercompetitive era of digitisation and innovation, Policybazaar isn’t devoid of its share of challenges. An industry veteran, requesting anonymity, pointed out that chinks in Policybazaar’s armour are coming into view. “In their quest for upping their year-on-year sales growth numbers, Policy-bazaar may just be losing its focus on sales quality and, more importantly, on their post-onboarding service levels,” he said, adding that if their knowledge dissemination, product training and customer support quality don’t keep up with their burgeoning sales volumes, Policybazaar risks being run aground by more agile online players who are working hard to craft a delightful ‘purchase to claim’ customer journey. He says that Policybazaar “has definitive room for improvement” when it comes to assisting clients with their claims — which is the so-called moment of truth for a policy seller. Sure enough – our calls made to the toll-free number listed on their claims assistance page proved ineffectual, as their IVR didn’t throw up any option for health insurance related claims support – only those for buying or renewing policies. With insurance distribution getting democratised and simplified, more players are bound to enter the fray and threaten Policybazaar’s leadership in the segment. Sure, he has been running for 10 years, but Dahiya’s most gruelling marathon may have only just begun.